I took inventory a few days ago in my walk around the homestead. 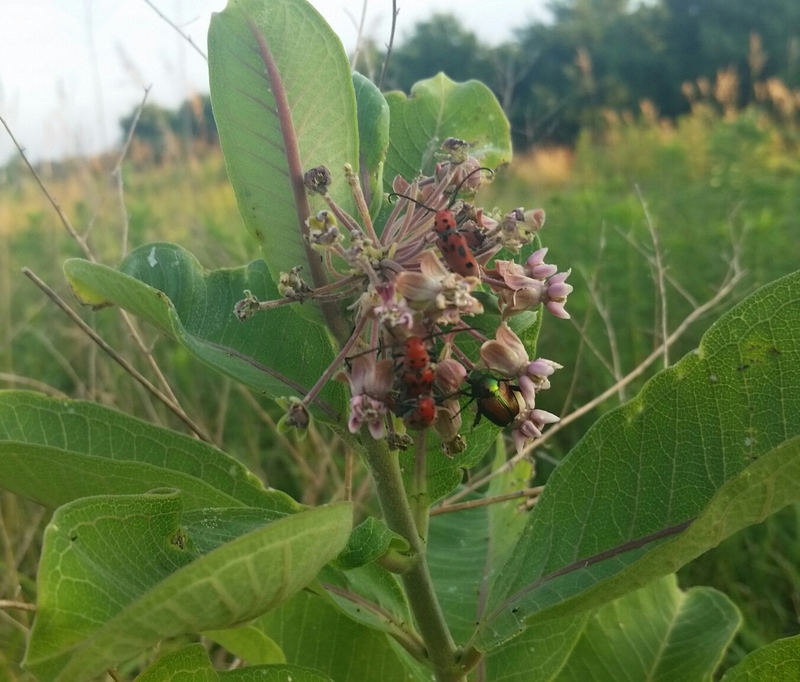 The milkweed is still everywhere, but the beetles have started attacking it now that they’ve eaten everything else. They seem to prefer the flowers to the leaves. Probably because they aren’t as thick and furry. I keep hoping the milkweed bugs will attack. No luck. 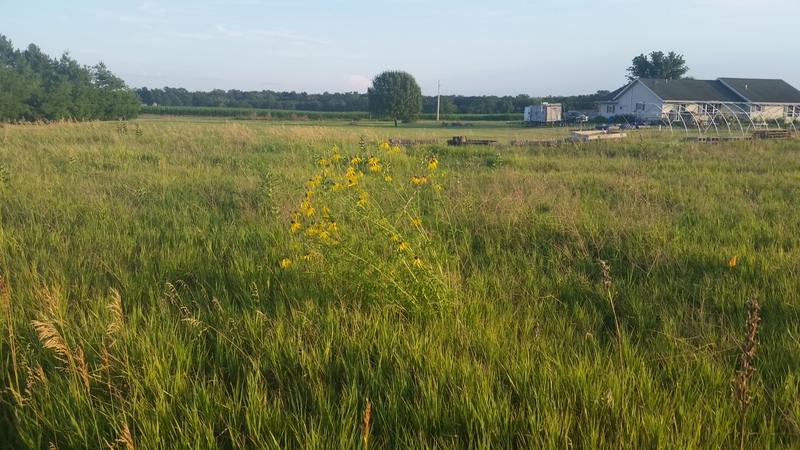 The prairie grasses are looking wonderful. The black-eyed Susans are back and flowing in the breeze. 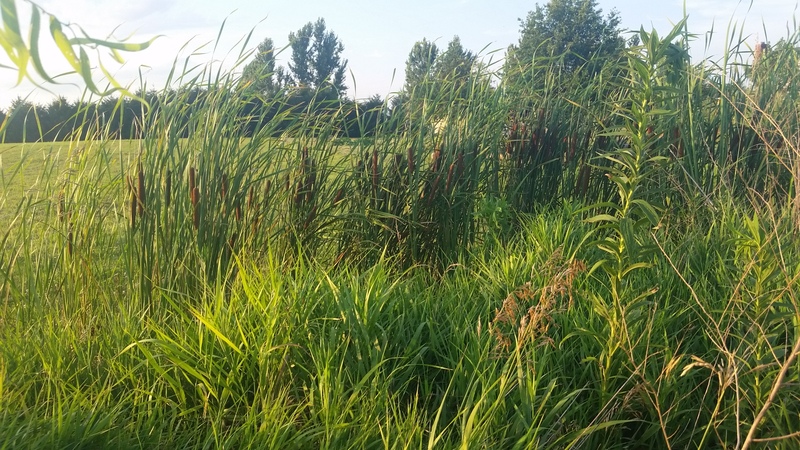 A variety of wild grasses blowing in the breeze. 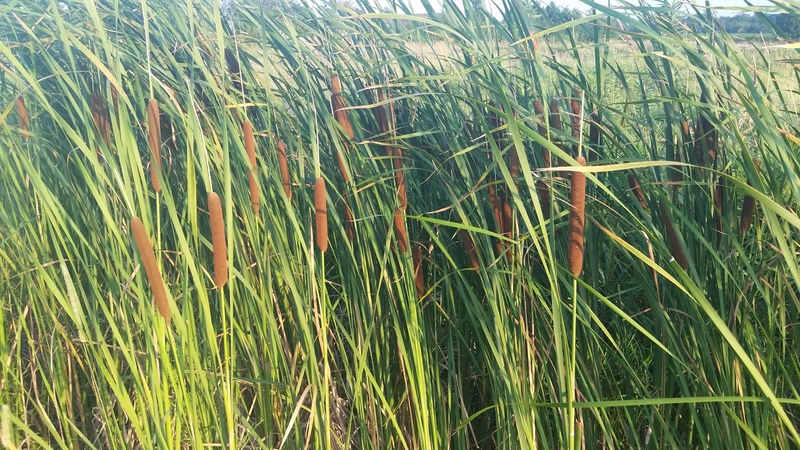 The cattails are getting thicker. I think I’ll clip a few of these along with some black-eyed Susans and bring some wild prairie inside. 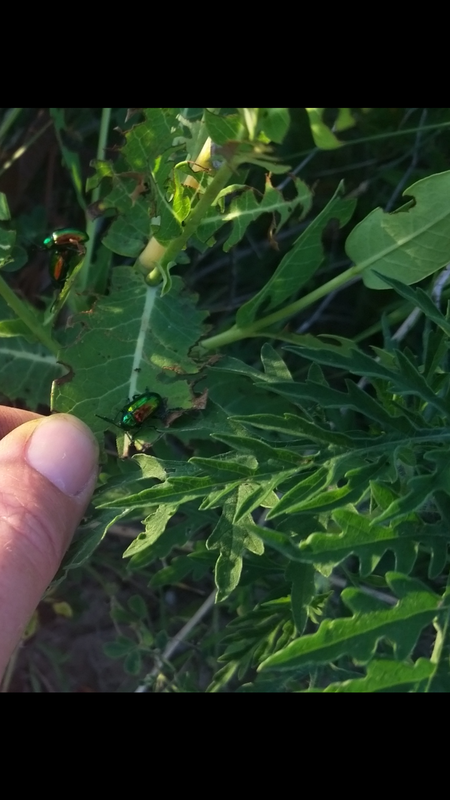 I did notice the Japanese beetles, but they are fewer in number and seem to be getting lazy. I can dispatch them easily at anytime of the day now. I don’t know if these are new, but they are a lot shinier than the others I’ve killed. They’ve finally started in on my oak trees and a few of the nut trees. I sure wish they’d attack the thistles instead. As I walked back to the house, I noticed my lovely herb spiral. The nasturtiums came back, as well as the bee balm. I planted more cilantro, thyme, basil, marigolds and a few salvia. It looks beautiful and the beetles have left it completely alone. This year, it is more of a flower spiral with a few herbs sprinkled in and chocolate mint trying to take over. I’m still not sure where the mint came from. I never would have planted mint in the spiral on purpose as it tends to take over. I keep pulling it out and transplanting it to the swales. It can take over there with my blessing. 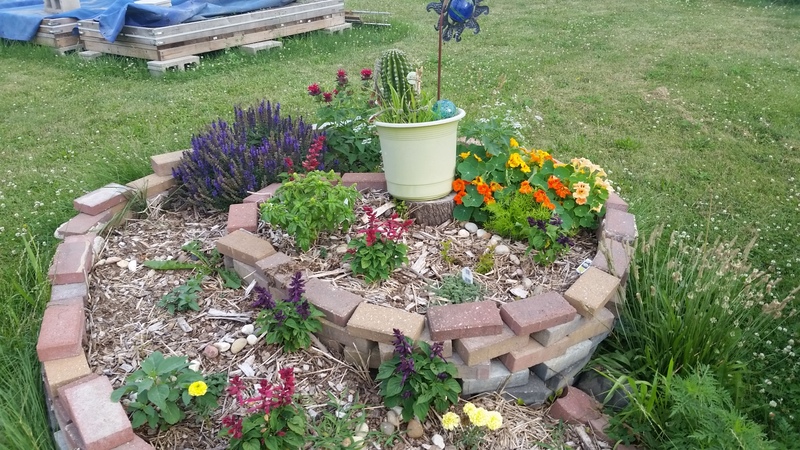 This entry was posted in Garden Stories, Life, Permaculture, Poetry, Writing. Bookmark the permalink.